Unlock Sony Ericsson Xperia Arc DoCoMo SO-01C - Safe IMEI Unlocking Codes for You! 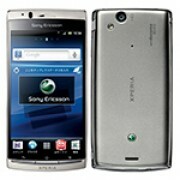 Unlock Sony Xperia Arc DoCoMo SO-01C Handset! In case your Xperia Arc DoCoMo SO-01C doesn't ask for the code and there is no designated field to enter it, please DON'T PLACE ANY ORDER, contact us first for support. Need to get your Xperia Arc unlocked as soon as possible? SafeUnlockCode can help you to unlock it at a price much cheaper than networks like AT&T or Sprint, and it will be a lot less hassle doing it through us too! After you get hold of the unlock code through email, along with some easy to follow instructions, you handset will be unlocked within minutes! We can also unlock a huge variety of different models, including the new Xperia Z and ZL. We can get you unlocked from carriers across the globe, including the big ones like AT&T, Sprint, T-Mobile, Orange, O2, Three and a whole lot more. Remember, going to networks directly will cost you $50 for more for a service just like ours! To get started, you’ll need to provide us with some information on your handset. 1. Get your IMEI. Find this by dialing *#06# on your phone or by reading the number off of the sticker found underneath the battery. 2. Select the country your phone originated from, and the operator you are currently locked to. We cannot make any refund for anyone who enters their information in wrongly. We support the cost of each and every IMEI we try to unlock, so please double check before continuing. You are also going to need to check to see if your Xperia Arc is “hardlocked.” Hard locked means your phone can no longer be unlocked and is usually due to too many failed unlock tries. If you cannot manage to do that press *#*#7378423#*#* instead. If your device shows 0 alongside the Network, you are hardlocked. Otherwise, you can continue on with unlocking your handset. How to Unlock Sony Xperia Arc DoCoMo SO-01C Phone - Tutorial! IMEI, country and network your phone belong to. Check availability and pricing before proceeding to checkout. Receive an email, and find the code to unlock your Xperia Arc within. To unlock your Arc, place in a SIM card differing from the network you are locked to and power on the device. You should now have a screen displaying something similar to “enter unlock code.” Enter your code here and your phone will be unlocked! Can’t get the screen to pop up? Ask us for help by contacting us.